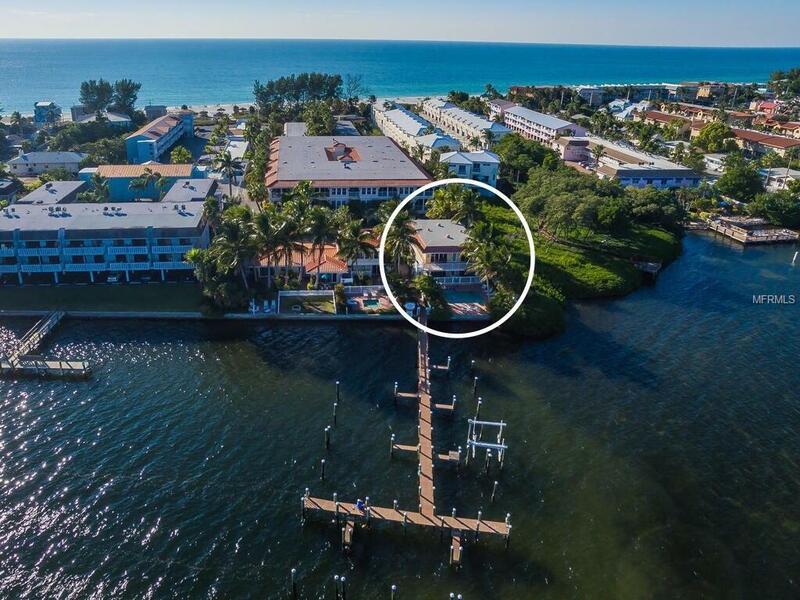 STUNNING TOP FLOOR CONDO DIRECTLY ON ICW & SARASOTA BAY! Incredible views abound out almost every window of this special property. 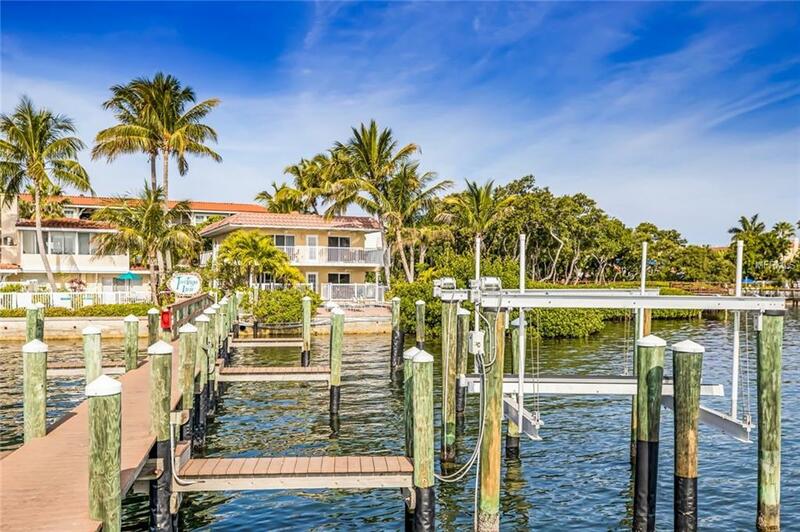 This fully furnished 2 bedroom 2 bathroom discrete two-unit property offers a semi-private pool, garden and deeded boat slip! The unit features a full kitchen, indoor laundry, private elevator and bayside sundeck. An exclusive opportunity to own a fabulous tropical island retreat! This beautifully designed condo features lush tropical landscaping and a terrific location on the island. Crown molding, large wrap around porch and loads of natural light add charm & character to this exceptional living space.The kitchen has an open floor plan featuring shaker cabinets, breakfast bar and upgraded tile flooring throughout. The dining room is flooded with brilliant sunlight. Both bedrooms take full advantage of the water views and have a private en-suite bathroom. The best shops & restaurants on the Island are just steps away. 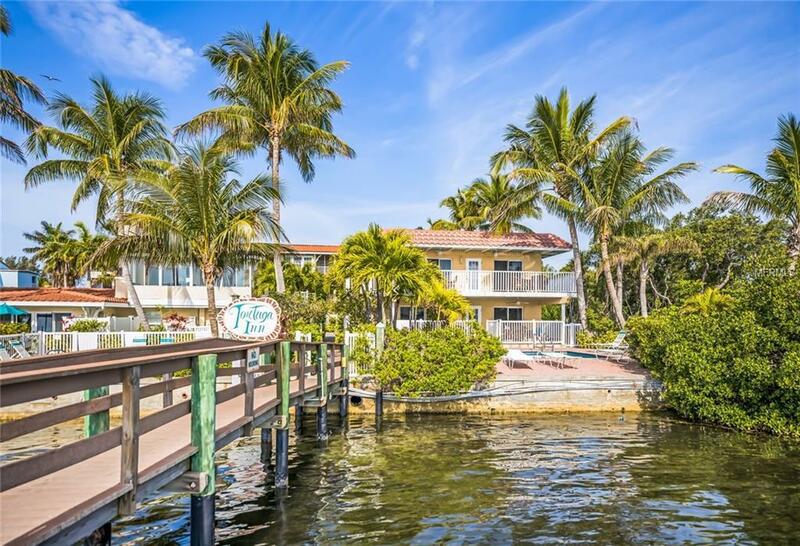 Tortuga Inn is an Award-Winning Beach-to-Bay resort on majestic Anna Maria Island. 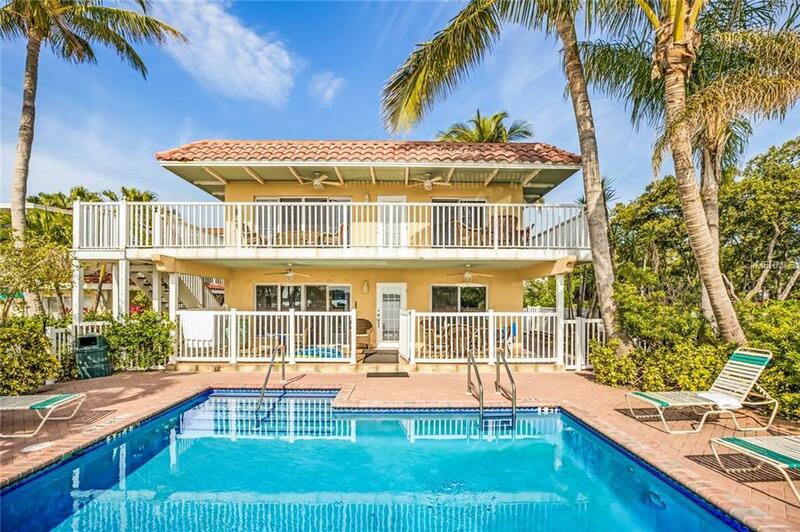 This Trip Advisor #1 Beach Vacation Destination is located on Sarasota Bay with two heated swimming pools & the private sandy beach is located directly across the street on the scenic Gulf. An amazing private residence and/or vacation rental through agent of your choice, or as part of Tortuga Resort rental program.